I knew during and after the draft that David was going to kill me. I think my highest powered creature was a 2. I didn’t even have more fliers than he did and I had nothing to kill his creatures other than a Shock or two. I don’t remember the exact scores. Four players is harder than three players. I passed more than usual, and I still ended with three debts. Elana arrived while we were playing Homesteaders, so I multitasked. I taught her the game, and she beat me in the second game. First play for Aaron, who like it. First play for David, who I said would win. He made some mistakes, and he still won (by one round, which seems to happen a lot). I started out teaching Elana to play (with Aaron, while David played with Haim). She picked it up pretty quickly. David left and I took his place. We drafted rather mediocre cards. I played RBw, David played BGw I believe. I have a number of fliers and some boosters, but not much else. David had some kill, boosters, and better creatures. First play for Haim. I got a high income quickly and then almost never bought a building that cost more than my income. by the last few rounds, I had some 50 cash, I still bought very little, instead doubling some key reputation boosters. Aaron went out of his way to take the Casino (never loses income when crossing a red line), but his reputation was so low that he fell back down to the last row of population and only crossed red lines on his last two turns. Haim made two of the common goals, I made one and my hidden goal, both of which were worth more points. Second play for Aaron. Haim religiously plays by blocking route he thinks people want and then waiting for them to give him extra pieces. While this give him extra pieces on occasion, it also means that he takes extra actions to actually do anything. I rarely do this, and when I do, it’s only because I don’t want to telepath what my actual intentions are (I can move more pieces at a time than place, so I can move and claim a route faster than I can place and claim a route). Haim and Aaron had the extra actions and extra points routes blocked up for most of the game, but they both got to five actions while I only made it to four. On the other hand, I had three out of four of the extra end game city point slots (7, 8, and 11) and also built a cross-board route for 7. Haim had a nearly fully developed board and scored three time his final cluster (for 24 points). First play for David and Yael. We didn’t finish the game, but we were certainly losing. Out of about 7 hands, Aaron called and lost 4 tichus and 1 grand tichu (he also made 1 tichu). One of them I could have saved if I had thought it through. 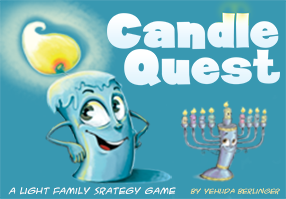 No game night last week owing to Shavuot. We drafted and I ended up with a GWR deck. Unusually for me, a) I played only 15 lands, 5 of each color, b) I played 41 cards instead of 40. In addition to the lands, I had 4 cards that fetched lands (of my choice) or generated mana. Also unusually for me, I never had any mana problems, hitting 7 or 8 mana in all colors within the first 7 rounds in each game. David had some mana problems with his 40 card / 18 land deck in RGb. He played b even though his W was stronger, because he hates playing W. The only reason his W was stronger was because he negative drafted W cards away from me. I had a few fliers (including a red 5/5 flying haste who gets shuffled back into your deck at the end of the round), some medium green creatures, and some boosters, with only three control cards (a spark jolt (1 point and a scry), a white card that buries a large creature, and a small creature that sends one of his creatures out of play until it (the small creature) leaves play). In the first game, I brought him down to one point, and then he took out my creatures and generated his own until he won. In the second he struggled with mana a bit and I took him down. In the third, I brought him down to two points and it looked light it might be a repeat of the first game but I top-decked my red 5/5 flyer to win. First play for Haim and maybe second or third for Aaron? David and I essentially copied each other’s early strategy, each taking a jester and a recruiter. Then he took two more recruiters and I took two more jesters. We both ended with no prestige cards and very similar results, as you see. Meanwhile, I encouraged Aaron to try a builder strategy; he took 3 builders and 4 prestige cards, none of them too expensive. In the last round, Haim, who had two builders, actually covered more spaces than he had, so he Aaron lost his last prestige card. However, he times his works well, taking the best work twice I think (at least once), and did very well. Haim did a mixture of about everything, with builders, landscapes, and a prestige card. Nadine also had two prestige cards, and played conservatively (spending as little as possible). Nadine writes: Chaim blocked Aaron from getting the least empty spaces one, and blocked me from getting anything for my second one which would have been 7 for most landscapes, 4 for a tie, with 7 I would have tied David; Chaim got most lakes. I should maybe have bid more against him for a lake, but that would have just been a tie, and I would have lost one or two points from the money spent. First play for Haim. He keeps complaining that we are always playing different games, while he prefers to play the same game several times in a row so as to get the nuances. I sympathize with him, but I must say that I rarely encounter someone who is so good at picking up the rules of games as I explain them.. He always understands the rules on the first try, although he often checks certain rules out loud as we play (like a verbal reminder, I think). Anyhoo, we played with the twists a) we all start with 20 instead of 10, and b) we toss down to the nearest 5 at the end of each round (unless you have less than 5). The first twist is pretty uneventful, while the second one radically changes how you play. You MUST place minions, or you have no hope of accumulating any money. I drew tons of very expensive cards. I finally tossed them all out for some cash (the effect of a card), and when I drew again I drew the most expensive card in the game. It actually ended up helping me, because it was worth just enough points to get me to 20. I kibitzed the first game, tsking when Aaron called Tichu after Tichu (and then when he didn’t call Grand Tichu and he should have) and as he played his last few cards. David had some bad luck with his tichus. The I sat down to take Haim’s place, and David and I proceeded to have several hands of really bad luck, as well as a few bad plays (some of which hurt us and some of which didn’t). It was late so we gave up. We didn’t have time to Rochester draft, so I chose a balanced color assortment of 120 cards and we created decks from our half. The decks were stronger than usual. David played BG, and I played BRW. Yes, I still played three colors, although, in my defense, all but one of my cards had only one colored mana requirement. I had a few nervous moments at the beginning of both games, but I got out most of my cards without difficulty. I had many fliers and I was hoping enough to stock David’s ground forces. And I had a Mindcrank, even one of which is pretty insane in a 40 card deck. In the first game, he had a large reach creature and then he had too many big land creatures to block all of them. In the second game, I stopped his ground forces, and even though he was gaining life, I decked him with my small fliers. First plays for both of them, who wanted to learn. We discovered that I had misread one of the cards that I thought was way over-powered in a previous game. Gili took control of the canals early on, and I couldn’t draw the color card I needed to build the canal segment I wanted, so I concentrated on people and VPs from them. I also had a person that made me more immune to disasters, while Gili played a person that removed some of her tokens. First play for Yael. Nadine writes: David had two big buildings including Custom’s House, as well as Factory and Harbor. Yael did very well for her first time, and we didn’t help her much. First play for Gili and Aaron, and first time I played with objectives. We also played special powers: Gili could use a discarded card, Aaron knew of a secret objective, and I earned a few extra points at the end of the game. I like the game; it’s not rip roaring fun, but it’s a nice management game. Very few bombs, and Aaron made a grand Tichu. They took a steady path to victory. Back at my place after several weeks at Nadine’s. There were no more than one or two creatures of power 4. We had to rely on our boosting cards. I played BWG, while David played RU. Both of us had reasonable mana, although David was a bit shy in the first game. I played with only 15 mana (5 each) and had no problems. But I still went down. In both cases, we had a standoff on the ground, while David’s fliers and unblockables were stronger. First play for David, third for me. While I already have a number of suggestions on how to change this to make it better (for my group), we played this (nearly) straight so that David could get an idea of the official game rules. This game is one that substitutes calculation for actual decision making, at least in part, which is a hacky game design technique. There are too many random elements artificially conspiring to make what you want to do difficult, so you have to plan every round, sometimes two, from the start of the round. Despite this, the choices (once you get past the calculations) are good, and the calamities that affect you are not annoying enough to actually wreck the game play. The only change I insisted on was rolling the dice before choosing cards, which is a straightforward improvement. David had some initial confusion and irritation, but ended up liking the game. Nadine took the first bonus with canals. I played a person who kicked everyone else back on the cathedral track, which gave me the bonus for that. Then I pulled ahead of David one round to get the personality bonus (and then I fell back and let him get it). Both of them had better luck than me with the colors of cards they picked, and both of them had people out that gave then bonus actions. I then pulled a seemingly overpowered card that gave me 2 points for each canal track, once per round (with a blue worker). With a little better luck with my card draws, I gained 2, then 4, then 8, then 12 points each round using this card. The canals I built also gave me the 3 point canal bonus, the 6 point monument, and my last personal bonus (canals). I need to check how many other overpowered cards there are. That one is a doozy. I think my change to the game is going to be like this: 1) I will create a Magic: The Gathering like color wheel. You will then be able to buy a neighboring color for $1, or an opposing color for $2, whenever you pay a card. 2) Some way to gain a few extra $, such as $1 income for each 3 or 4 rolled on the dice. I don’t know what happened here. First plays for Daniel and Elad. The first game gave us +1 point for every card we played, which made smaller cards even more powerful. The second game saw us losing money down to the nearest $5 (when over $5), which slowed the game down. I think the low valued cards are still slightly overpowered, which is a slight flaw. However, the game is still great. Strange how my group seems to like it more than most others. David and Nadine pulled ahead with a series of early Tichus, and it was looking bad for us. We were down something like 940 to 360. I then bid and made a Grand Tichu, with us collecting 100 points from tricks. Then we won 75 trick points to their 25. And then I bid and made another Grand Tichu and 85 trick points. A classic Tichu underdog victory.